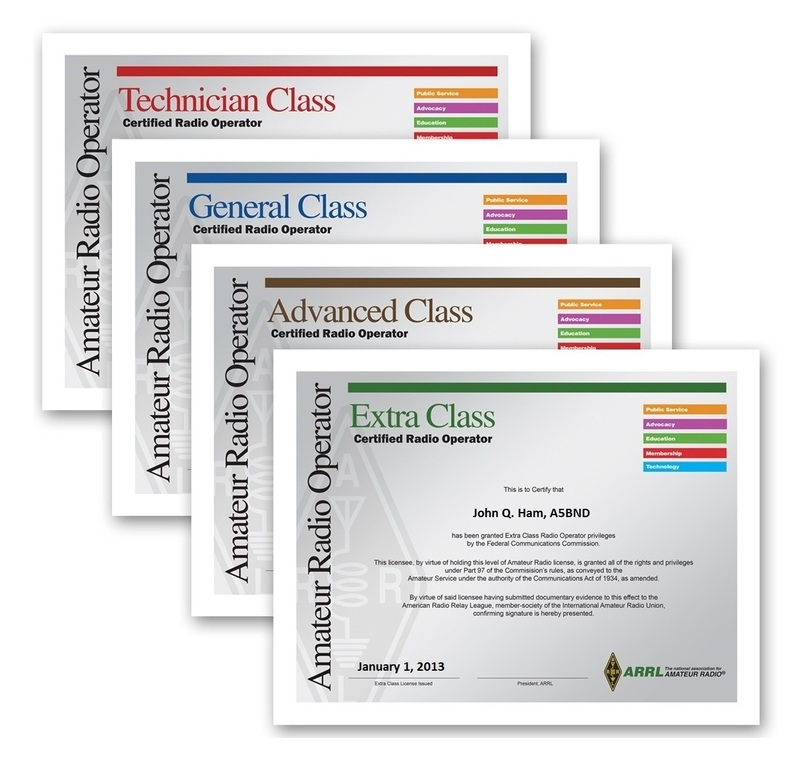 Have you obtained an Amateur Radio License? Congratulations on your excellent achievement! Now you can proudly display your accomplishment with your own License Class Certificate. Preview the Design! long ago. The 8 1/2 x 11 inch certificate is suitable for framing. licenses issued in accordance with Part 97 of the FCC rules. For Technician, General, Advanced, or Extra class licensees. Order today!